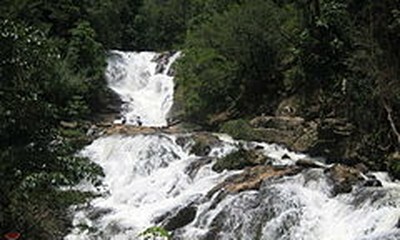 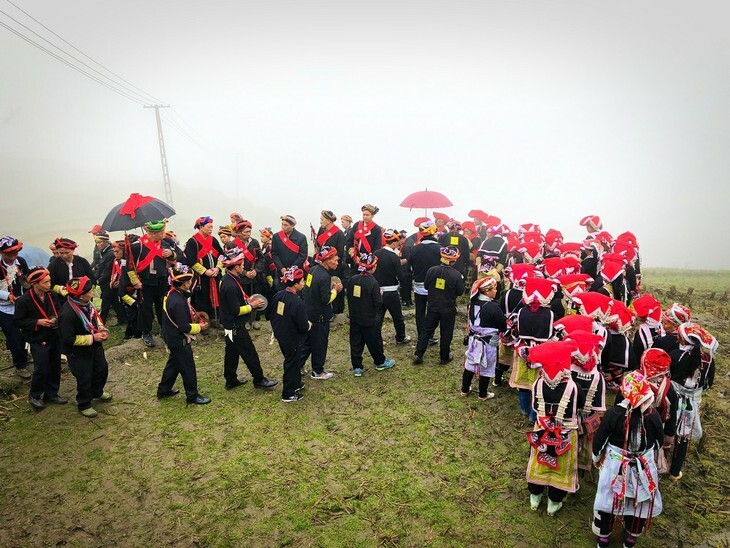 (VOVWORLD) - “Cấp sắc”, which means “maturity ritual”, is a typical cultural feature of the Dao people. 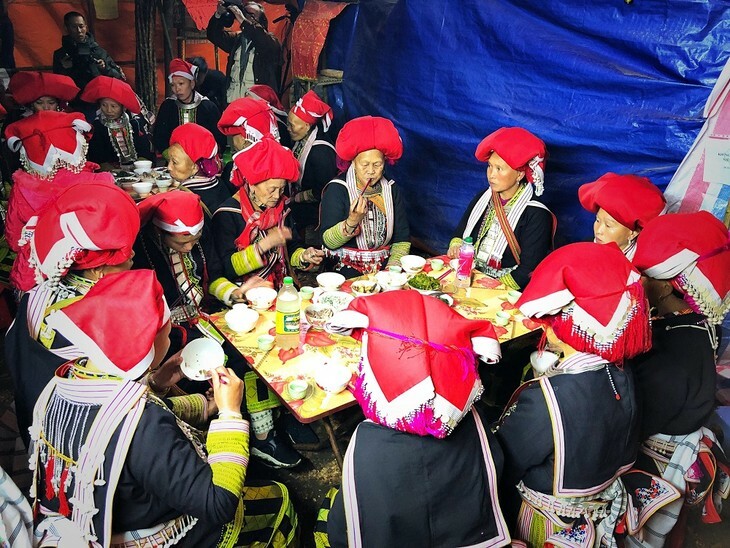 A Dao man is not allowed to practice or join rituals until he attends the “cap sac” ceremony. 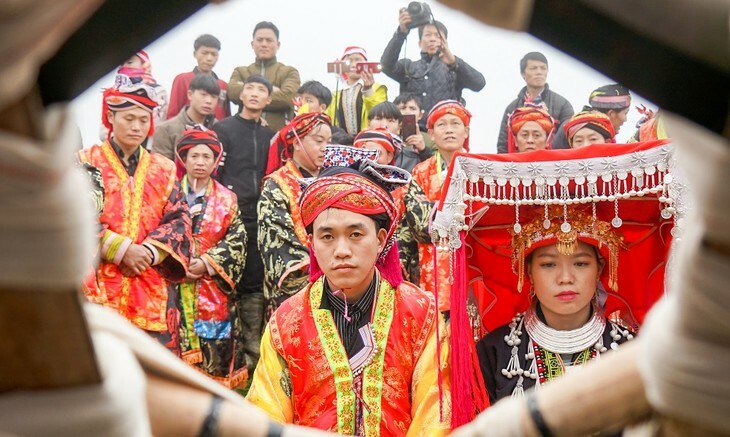 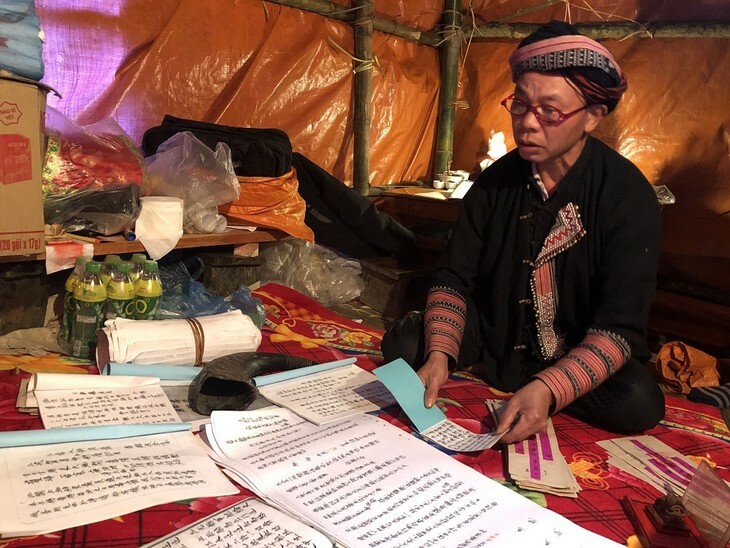 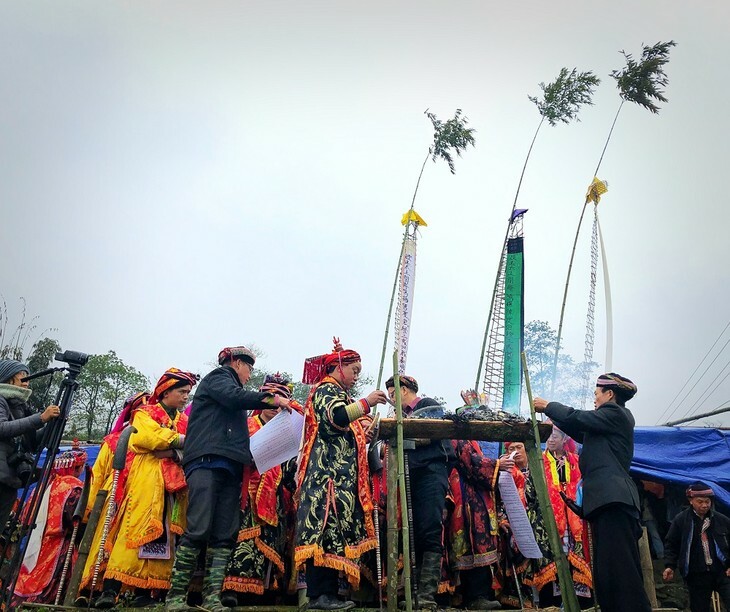 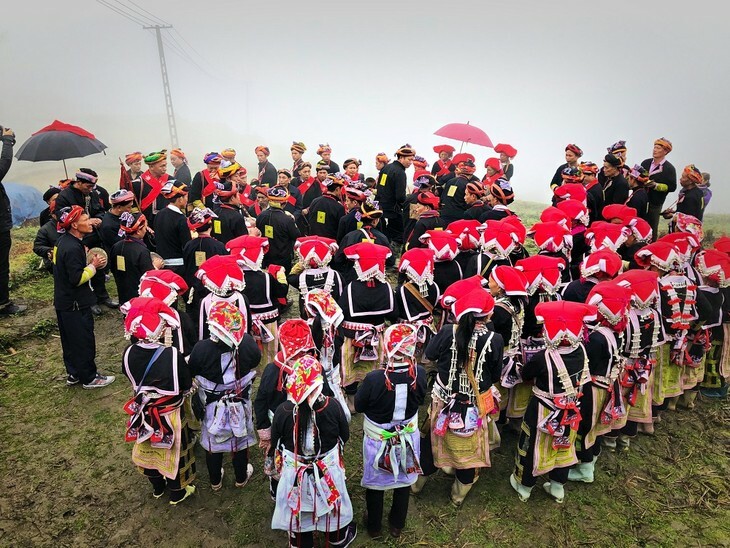 The coming-of-age ceremony often takes place in the first, eleventh or twelfth lunar month of the year when locals enjoy free time after the harvest. 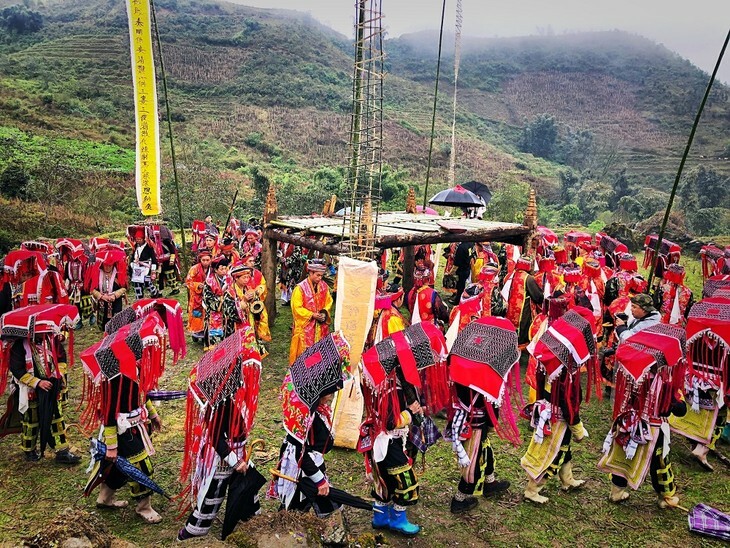 A welcoming ceremony for the shaman who will host the "cap sac" ritual. 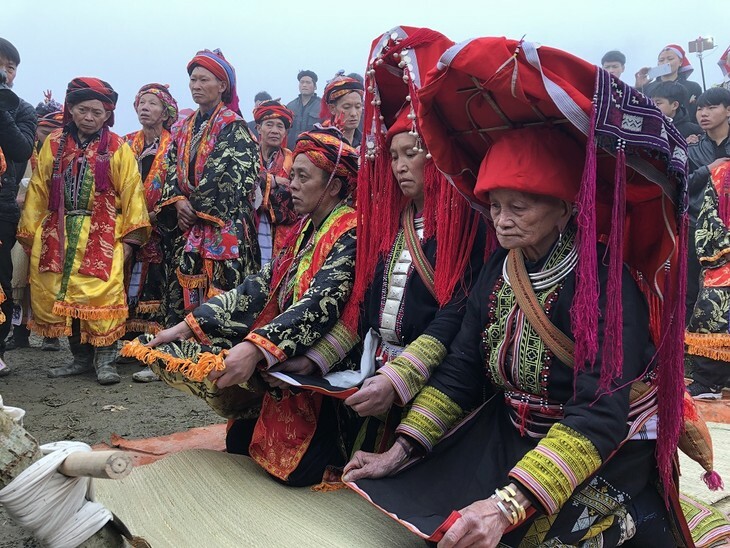 Dao ethnic men play music to welcome the shaman. 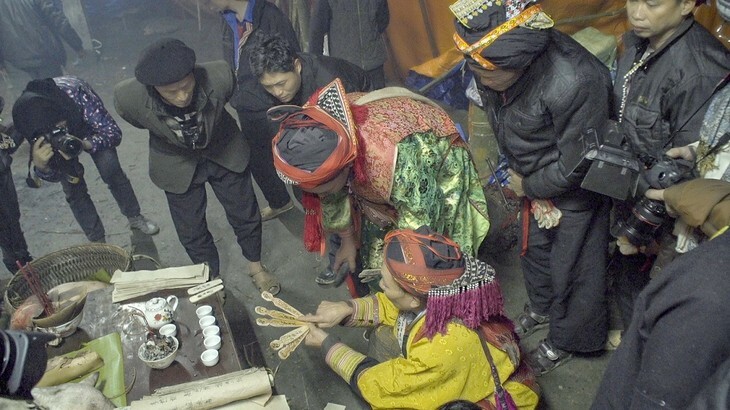 The shaman prepares documents for the ritual. 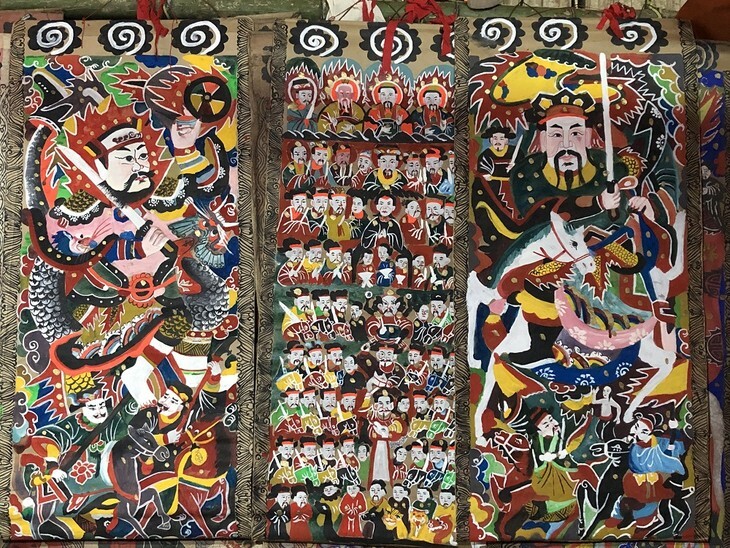 Worship paintings are indispensable in any maturity rituals of the Dao ethnic group. 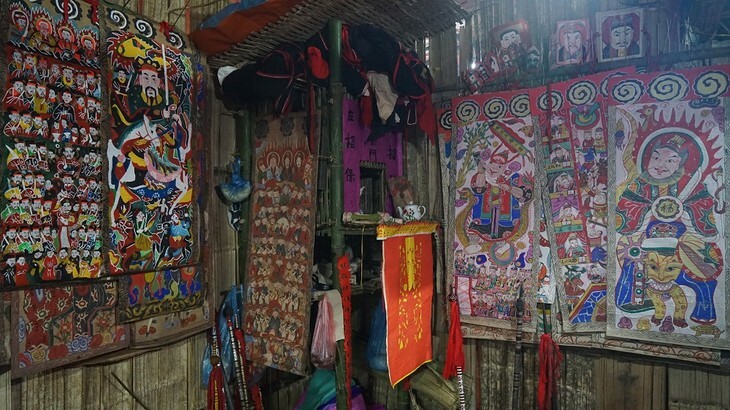 The corner where Dao ethnic people set up their family's main altar. 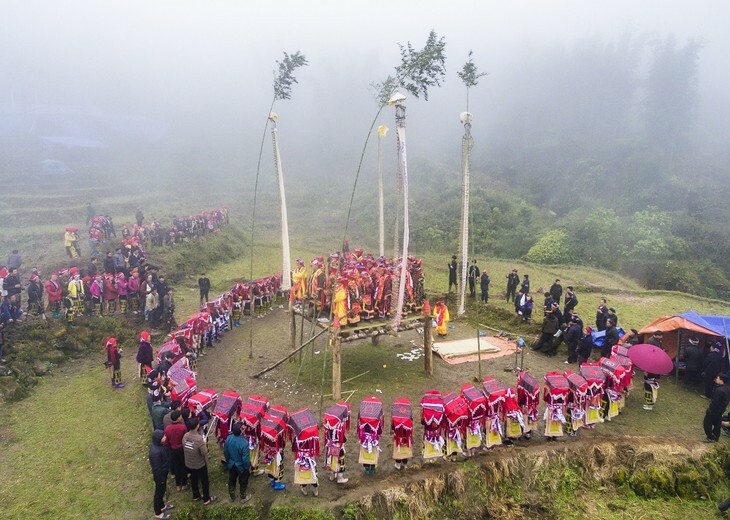 An area reserved for Dao boys who will attend the "cap sac" ritual. 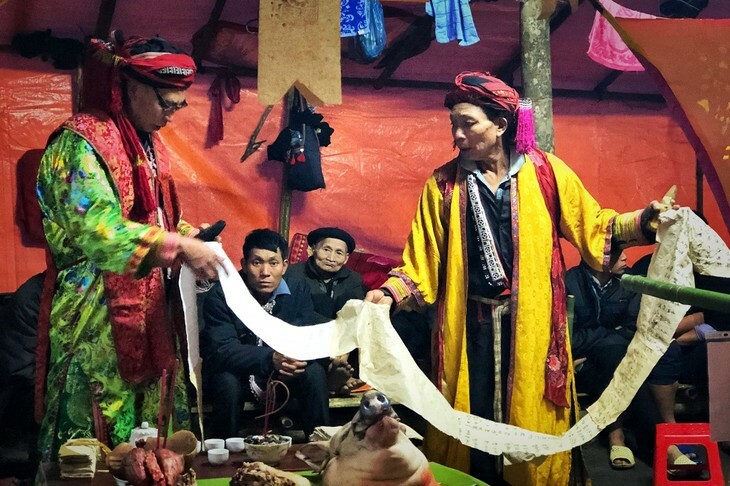 The shaman conducts a rite to inform ancestors of the ceremony. 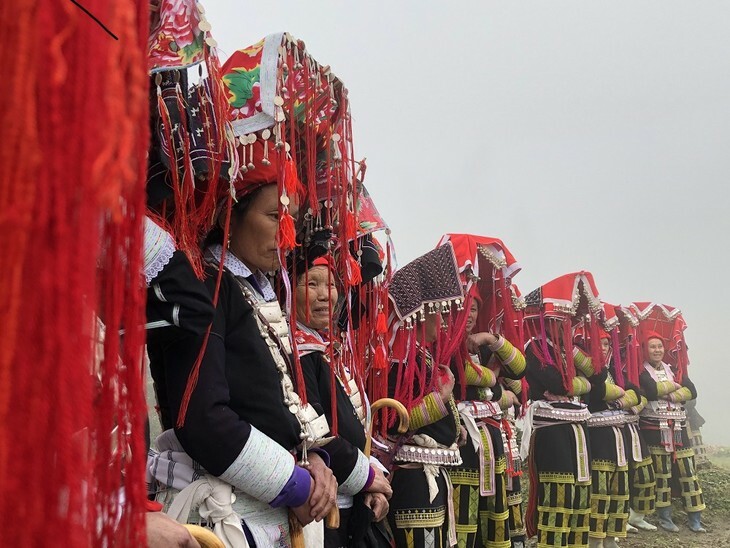 Dao ethnic women in colorful costumes during the "cap sac" ritual. 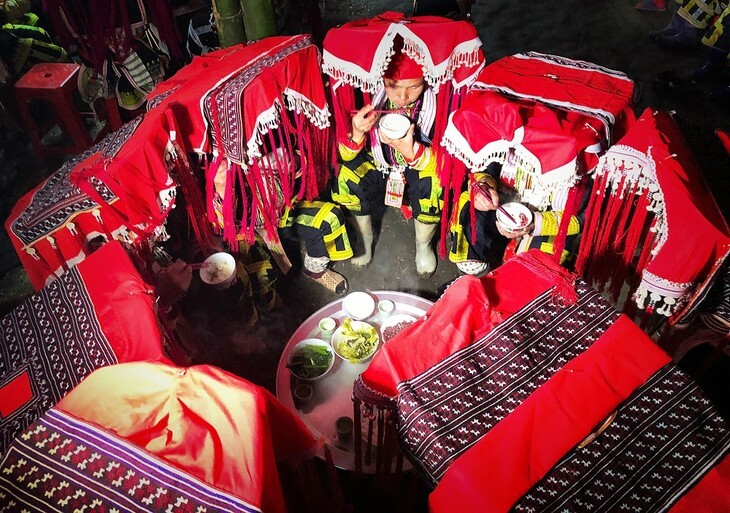 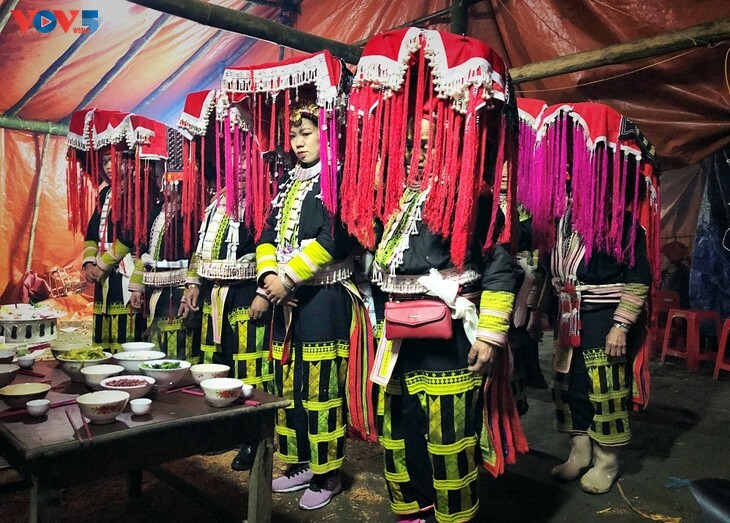 Shamans conduct a ritual dedicated to the Jade Emperor at a twelve-lamp "cap sac" ritual. 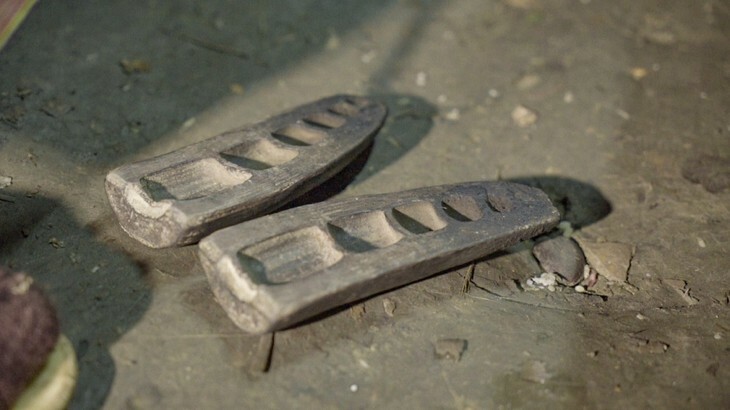 Yin and Yang wooden bars are tools of the shaman. 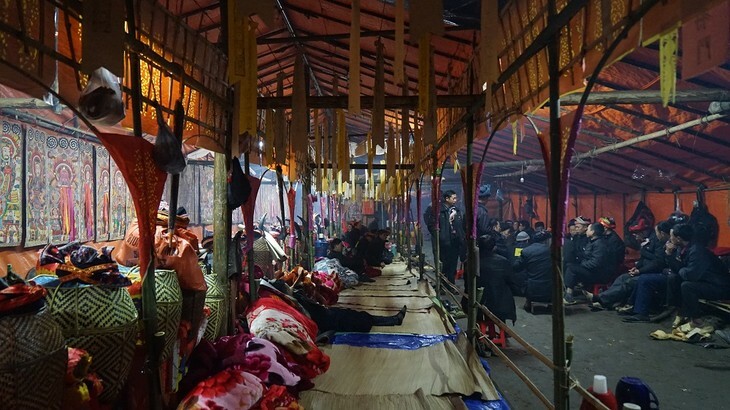 The ritual can also be held for those who have died. 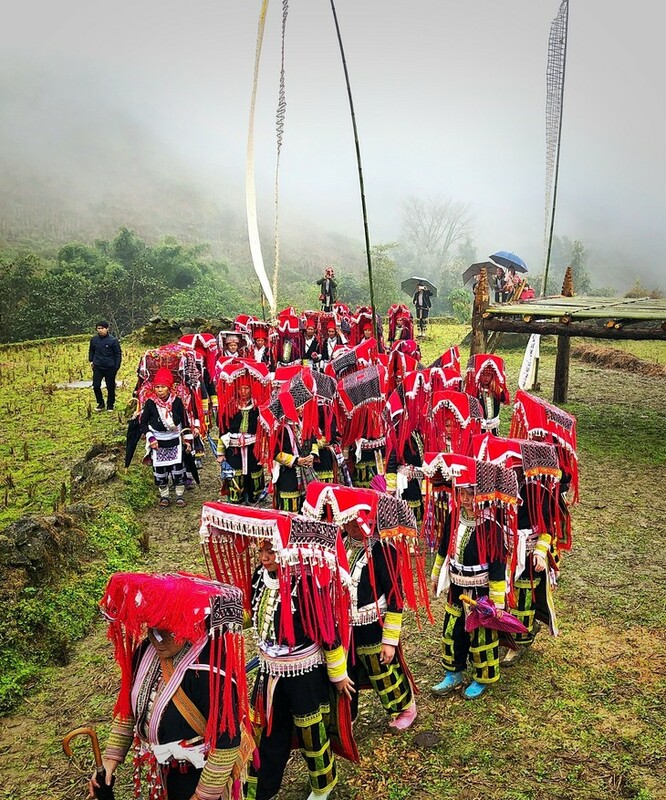 They are symbolized by small bamboo dummies on which their names and birth dates are written.